Reparto: Paul Walker (Damien), David Belle (Lino), RZA (Tremaine), Robert Maillet (Yeti), Carlo Rota (George), Kalinka Petrie, Catalina Denis (Lola), Jade Hassouné (Peter), Carolina Bartczak (Clara). Guión: Luc Besson y Bibi Naceri. 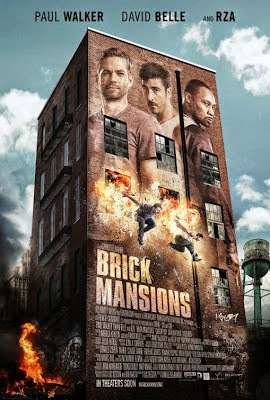 Productoras: Brick Mansions Productions Inc y EuropaCorp.